I received some awesome baking accessories from our family and friends! I didn't realize how handy and amazing they were until I put them to good use! 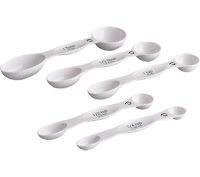 I really love these measuring spoons from Crate and Barrel. They have two ends for the same measurement unit! Have you ever needed to measure a tablespoon of flour after you already used your it for lemon juice? 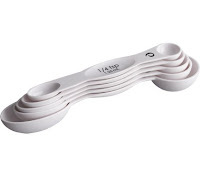 Your spoon is dirty and you have to stop what you're doing in order to wash and dry your measuring utensils. How frustrating and time consuming! These spoons are the perfect solution! 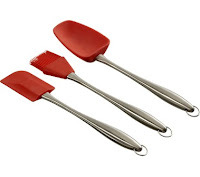 They come in really handy, especially when you're cooking/baking multiple things at once. The best part: they're magnetic! They stick together perfectly and are small and slender for easy storage. For all you avid bakers out there, this is what you need! Don't forget the matching measuring cups. Also magnetic! 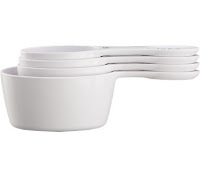 When Hubby saw that I registered and received two sets of bowls that seemingly look like the exact same thing, he ordered me to take one set back. Let's just say that he didn't win that argument. 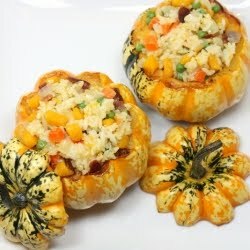 =) I really can't imagine doing anything in the kitchen without them! They're convenient to store, for obvious reasons and I literally have the correct size bowl for all my cooking/baking needs! A lot of recipes make you mix ingredients separately before blending together, add that to a glaze of some sort and berries on top- you've already used up four bowls in the process! I find that the four bowl set is perfect for most recipes. I kept the green one because it has a larger and a smaller one that the pink set doesn't. You never know when they'll come in handy. The large one is good for rising pizza dough, while the smallest one is good for glazes and ganaches! Perfect! Get out of town... I have the same measuring spoons, only in stainless.